Kiwanis Camp Casey is a week long summer camp for children ages 6-17 who have physical disabilities. 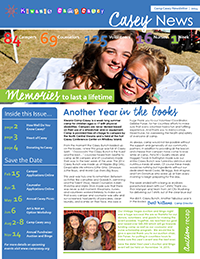 It is provided by the North Central of Seattle Kiwanis Club and all staffing, nurses and counselors volunteer to help create “the best week of the year” for our campers. Camp is located next to Fort Casey State Park on Whidbey Island in the old WWII army barracks (now owned by SPU). Transportation to and from Camp is provided from the North Seattle area. 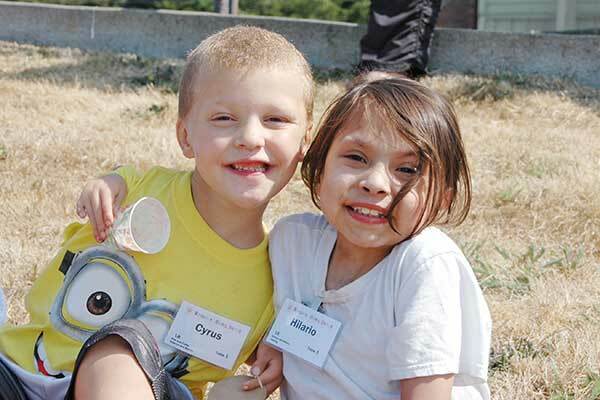 For over 75 years the Seattle North Central Kiwanis Club have fully funded the camp, so it is free of charge! Click here to learn more about Camp Casey. Kiwanis Camp Casey will be held Sunday, July 28 – Saturday, August 3, 2019. 2019 Kiwanis Camp Casey Camper applications are up! Begin applying here! Are you or were you a Camp Casey Counselor or Nurse? Are you still in school? If you answered yes, then we encourage you to apply for the North Central Kiwanis Memorial Fund Scholarship! Applicants must be students currently enrolled in an accredited program at a college, university, or technical program. Or, in the case of our nurses who need to continue their education updates for licensure, enrollment in an accredited continuing education class or program. Application deadline is: August 31, 2017. Completed applications along with a photo of yourself must be submitted as attachments via e-mail to: director@campcasey.org. Winning applicants will be notified and awarded funding directly to your school program by the end of September. Scholarship recipients will be invited, to attend our evening meeting the last Thursday in September for the award announcement. Download the application here: 2017 scholarship application. We work under the auspice of the Kiwanis International Mission statement: serving the children of the world. 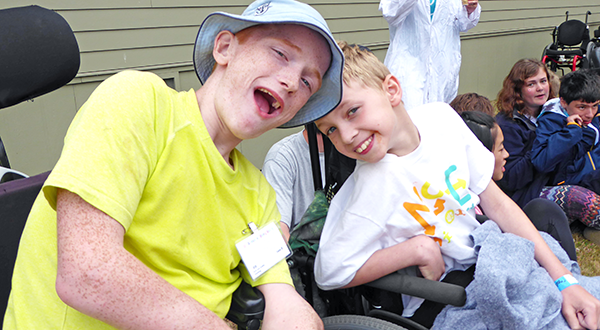 The North Central Kiwanis Memorial Fund supports charitable services for children and adults with disabilities. Our primary project is to provide a one week summer camp for children ages 6 to 17 years, who have physical disabilities. We support the camper’s independence and ability to experience summer fun they would typically not be able to experience without the assistance of the camp. We champion leadership development and maturity advancement of high school and college age counselors. We work cooperatively with our community and greater Kiwanis family to accomplish our mission.